Nature replicates everything what we offer, whether we admire or criticize. It has its own phenomena of blessing and as humans we are so much blessed to be in a form where we can appreciate its beauty. Van Vihar in Bhopal has its own exceptional pincode of nature than brings anyone close to the greenery and wildlife. There holds a different ecstasy when you have your favorite ginger tea and cheese smeared veg-pizza that rolls lusciously to your taste bud and amplify the fun of zoo visit. 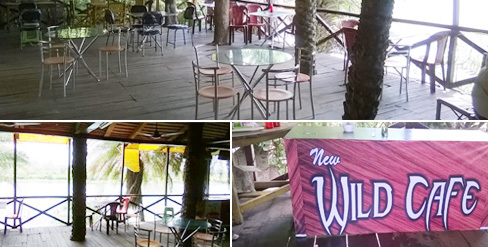 Wild-café,a fast food corner at Van Vihar delivers the yummiest fast foods for every visitors who come to cherish the beauty of impeccable wildlife. The hours of visit will never get tired when you halt at Wild café and ingest the series of delightful pizzas, burgers, Manchurian, noodles and many more that is served purely vegetarian. We are open and we welcome you.